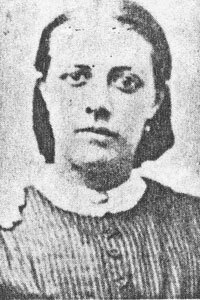 Elizabeth Jones was born October 18, 1844 and married John Quincy Leavitt on September 26, 1870. This was at a time when the Mormon church was practicing polygamy and she was the second wife of John Quincy Leavitt while still married to Cynthia Elmer Leavitt. Little is written about Elizabeth Jones in family history but I assume the church asked John Quicy Leavitt to marry her. Elizabeth Jones died on February 11, 1873 less than three years after her marriage. She had no children to the best of our knowledge. Hopefully we will be able to find out more information about her since she is an important part of our Leavitt Family History and Genealogy.